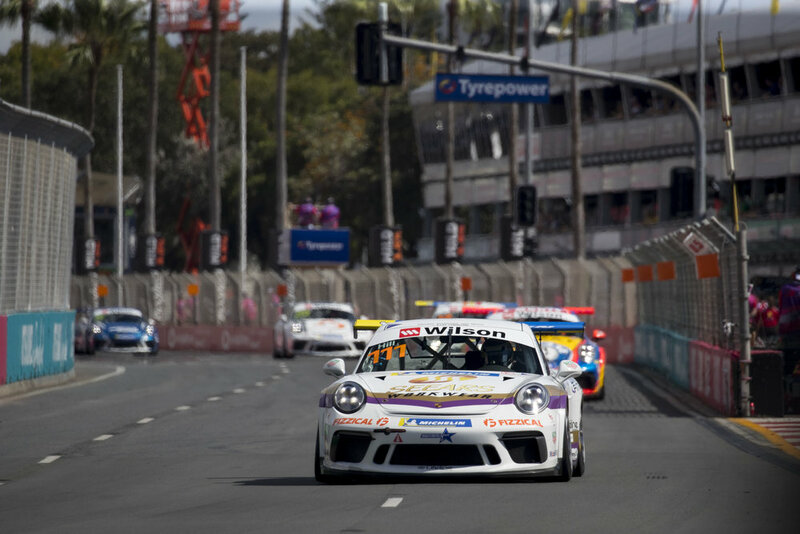 Cameron Hill says this weekend’s final round of the Porsche Wilson Security Carrera Cup Australia was a reflection on the hard work and never-give-up attitude of his team, after he secured ninth in the series standings with his progression from the rear of the grid to 15th in today’s last race of the year. Following his non-finish in Race 2 yesterday, Hill’s crew worked hard to repair the car overnight, and Hill said today’s race was about risk versus reward. “After our crash yesterday, I didn’t want to sustain any more damage, so I ensured all my passing moves were risk- free,” Hill said. “The race finished under Safety Car and I potentially could have made up a few more places if it had run green to the end, but the most important thing was we brought the car home in one piece. Hill said while the season was a steep learning curve for his privately-run family team, they overcame the challenges with flying colours. “Considering we were outside the top 20 after the first four rounds, it’s not bad for us to finish with an overall top 10 result in our first season,” Hill said. “It was a year where we jumped in the deep end, and learned how to swim really fast. It wasn’t just a learning experience for me, it was a big educational curve for the entire team. “We had our share of challenges throughout the year, especially at the Grand Prix where we sustained heavy damage, lost a lot of track time and had to rebuild the car in a short time-frame. “But no one ever quit or lost motivation, and it was satisfying to reward them with some strong results in the second half of the year. Hill also paid credit to the sponsors who supported his 2018 campaign. “We’ve been very lucky to have had the backing of some generous individuals and companies, and I’d especially like to single out Seears Workwear, Anytime Fitness, Baxx Australia, Southern Star Truck Centre and Fizzical for their support throughout the season. Hill’s plans are to again contest the Carrera Cup in 2019, with details to be announced in the new year.